Wondering what to serve for Easter brunch this year? I’ve rounded-up some of my favorite recipes that are great whether you’re serving a crowd or planning a smaller Easter brunch celebration. 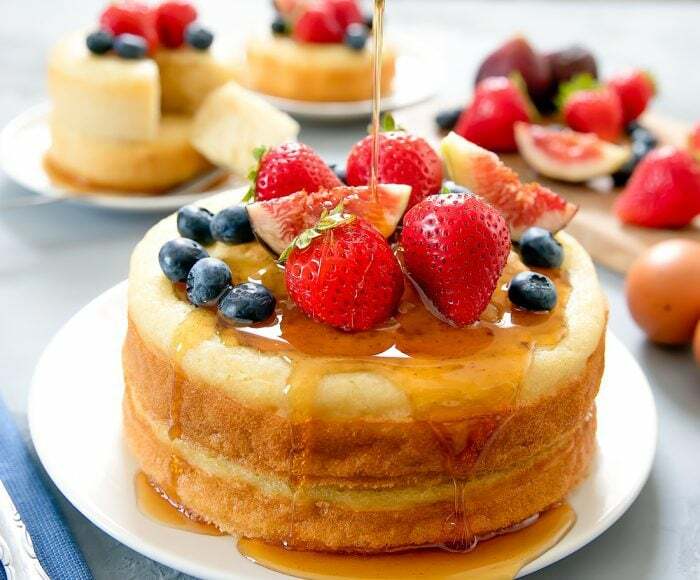 From souffle pancakes to stuffed French toast and plenty of creative egg recipes to go with them, there are so many options to choose from. Add a few brunch side dishes and homemade baked goods and you’ll have an Easter brunch spread that no one will forget! What is brunch without a stack of pancakes, French toast or waffles? I’ve gathered up several of my favorite recipes so whether you want to go all decadent with Nutella-stuffed French toast or more traditional with fluffy buttermilk pancakes (that bake in the oven!) I’m sure you’ll find something delicious for your Easter brunch. 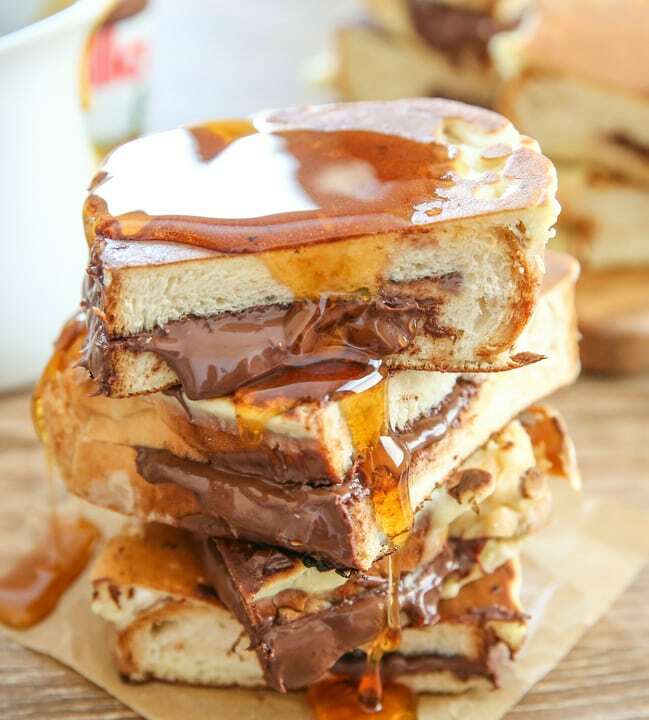 Nutella Stuffed French Toast Pancakes | If you want something totally indulgent for brunch and can’t decide between pancakes or French toast, look no further than this decadent breakfast treat. It’s part pancake and part French toast with a dollop of Nutella stuffed inside. Big, Fluffy Baked Buttermilk Pancakes | These giant buttermilk pancakes are baked in the oven so you don’t have to stand over the stove flipping pancakes all morning. Plus, these fluffy pancakes only take 30 minutes start to finish and make for a fun Easter brunch presentation. Giant Souffle Pancakes | If you want big, fluffy pancakes but want to cook them on the stove, you have to try these Japanese-style souffle pancakes. There’s no need to turn on the oven and they are a unique twist to traditional pancakes. Have an Instant Pot? Be sure to check out my Giant Instant Pot Pancake, too. Japanese Souffle Pancakes | Inspired by the ones I had when I visited Tokyo, these smaller souffle pancakes are light, fluffy, and so cute stacked on a plate. After about a dozen tests, I finally landed on a version that tastes like the authentic ones I had in Japan and I share all of my tips so you can make them, too. Baked French Brick Toast | This is another restaurant-inspired brunch dish that’s perfect for Easter brunch. 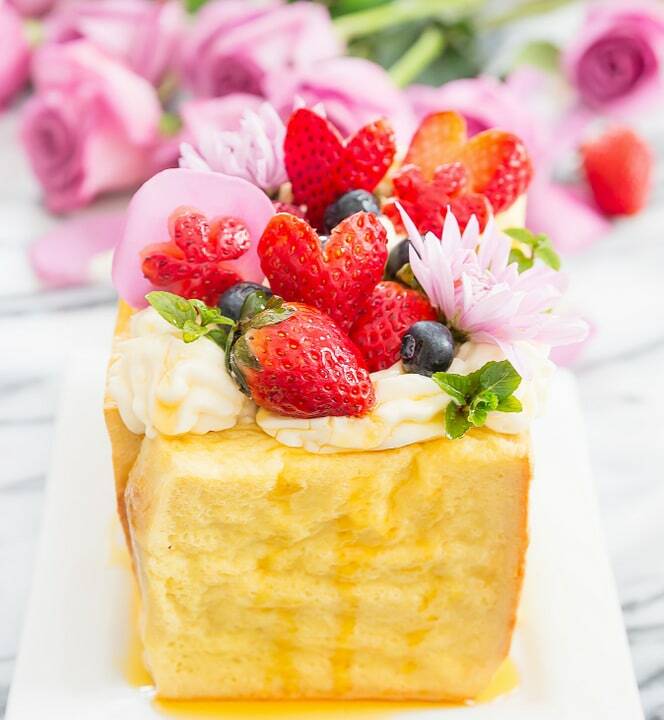 This baked brick French toast is made from a large cube of toast and filled with fresh fruit and mascarpone whipped cream. Nutella Stuffed Waffles | This is one of my favorite short-cut breakfast or brunch treats because you only need two ingredients and a waffle maker. If you love Nutella like I do, you will love these waffles that have the creamy chocolate and hazelnut spread baked right inside. Crunchy French Toast | If you haven’t noticed already, I get a lot of inspiration from restaurant dishes I try and this crunchy French toast is another favorite I love to recreate at home. It’s a great dish for a crowd because the French toast bakes in the oven. There’s a reason egg dishes take center-stage at brunch: they are so versatile and you can serve them in so many ways. You won’t find any plain scrambled eggs in this list, but there are plenty of next-level egg recipes that will wow your brunch guests. 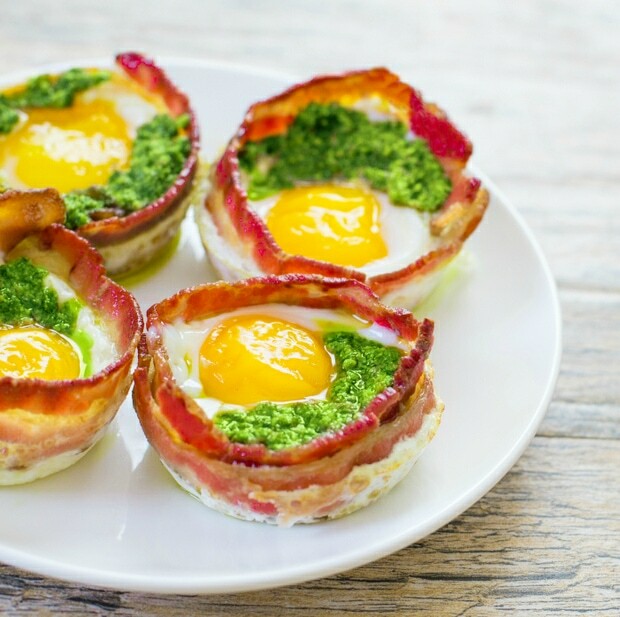 Green Egg and Ham Cups | These cute egg cups are cooked in a muffin pan making them a great dish to serve a crowd. Each one is cooked with bacon and a vibrant green pesto. They’re easy to eat and look so pretty on a serving platter. Colorful Tea Eggs | These colorful eggs are inspired by traditional Chinese tea eggs. You can create pretty patterns by gently cracking the eggshells and simmering the eggs in colored water. Coddled Eggs with Mashed Potatoes | This is another restaurant-inspired brunch dish that I love to make at home. Individual coddled eggs are cooked inside jars over a puree of garlic mashed potatoes. It sounds fancy, but it’s actually not too hard to make. It tastes great on its own or served with toasted crusty bread. 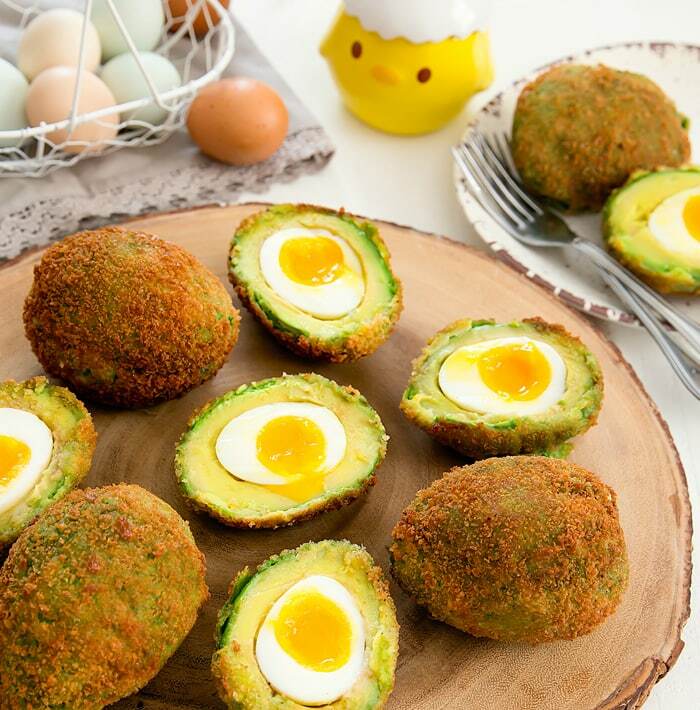 Crispy Eggs in Avocados | Soft boiled eggs are stuffed into the middle of avocados which are then covered in panko breadcrumbs for a crispy finish. The end result is a fun brunch dish where guests cut open their crispy avocados to reveal an egg in the center. Cloud Eggs | For this fun Easter brunch dish, egg whites are whipped to a meringue state so that they resemble clouds and are then topped with the yolk. It’s a fun way to serve eggs for breakfast or brunch. Blender Hollandaise Sauce | Eggs Benedict is a classic brunch dish and with a simple hollandaise sauce that you make in the blender, you can totally make this brunch favorite at home! Zucchini Egg Nests | These low-carb egg nests are made with spiralized zucchini and are an easy and fun brunch dish. If you’re hosting brunch it’s nice to have a mix of sweet and savory baked goods to choose from. 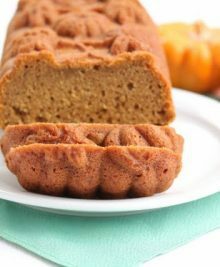 I’ve gathered up some of my favorite recipes including a few low-carb/keto options so that everyone gets a bite. 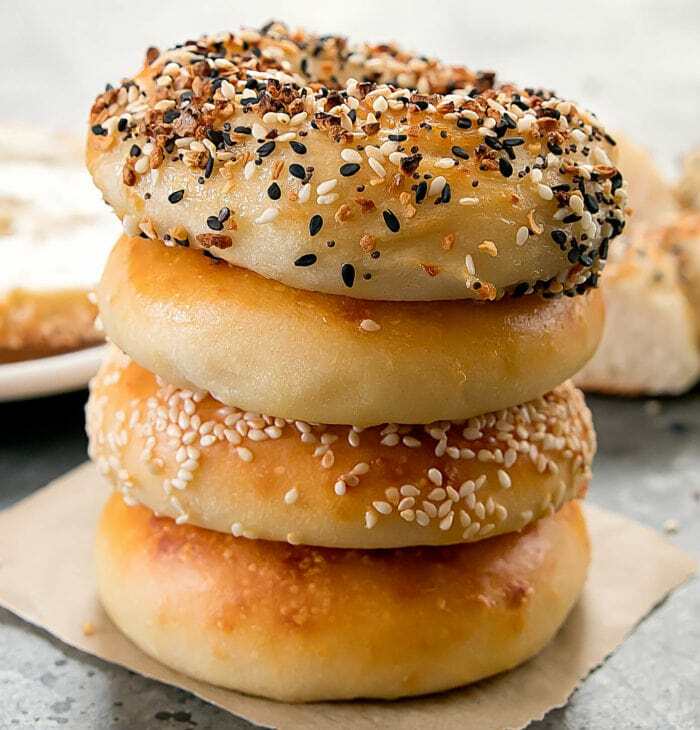 2-Ingredient Bagels | No need to run to the bagel store early in the morning because you can make your own fresh-baked bagels with just two simple ingredients! You don’t need any yeast or time for proofing – these chewy bagels are ready to go in less than an hour. Looking for a low-carb version? My Low-Carb Keto Bagels are also gluten-free and wheat-flour free. Plus, you only need a few simple ingredients to make them. 3-Ingredient Buttermilk Biscuits | Or, if you love biscuits, you can whip up a batch of buttery soft biscuits with just one bowl and three simple ingredients. Sugar Donut Muffins | If you can’t decide between donuts or muffins you need to give these donut muffins a try! These fluffy little muffins taste like old-fashioned donuts, but are baked instead of fried. They’re a perfect treat for Easter brunch. Sour Cream Bread Rolls | The addition of sour cream in these rolls make them nice and soft. They’re great for holiday celebrations. Avocado Blueberry Muffins | These muffins are a fun twist on traditional blueberry muffins. These muffins are made with avocado, giving them a natural spring green color and making the muffins incredibly moist. They also have a crunchy sweet streusel topping. Cinnamon Roll Muffins | If you’ve ever made cinnamon rolls from scratch you know how much time they take to make. 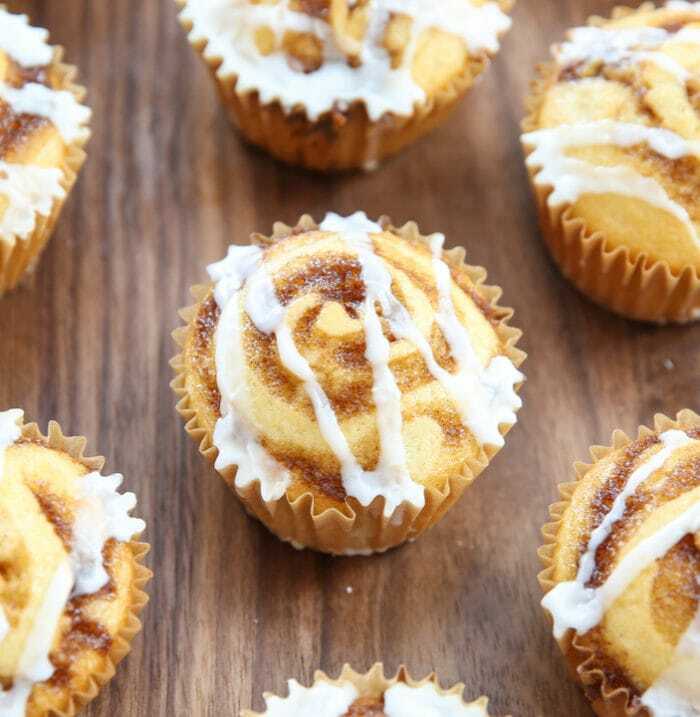 These cinnamon roll muffins are so much easier and have the same great flavor. 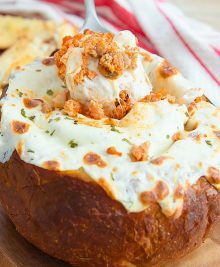 Breakfast Pull-Apart Bread | This fluffy pull-apart bread is mixed with melted cheese, bell peppers, bacon, and eggs. It’s a savory brunch dish wrapped in one neat package. Low-Carb Keto Biscuits | These low carb keto biscuits are so tender and fluffy, you won’t believe they are flourless. They take less than 30 minutes to make and are gluten-free, keto and low carb. Brunch often includes the best of breakfast with some savory options that can double as a brunch dish or a dinner side dish. Savory roasted potatoes, spiralized carrots, and amped-up avocado toasts are just a few of the delicious side dish ideas I’ve gathered up for you. Avocado Roses and Toasts Nine Ways | Easter brunch deserves something fancier than just plain old toast and butter! 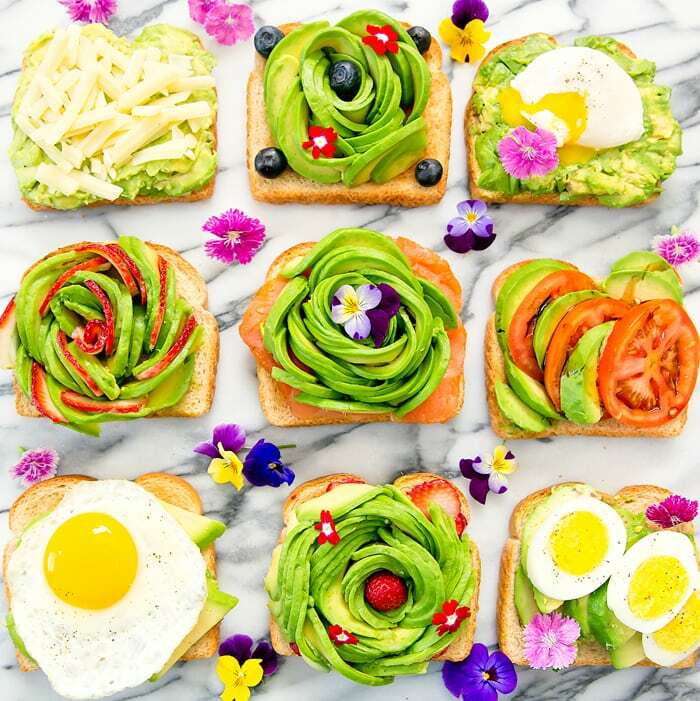 These avocado toasts are so pretty and delicious and I have nine different ways to dress them up including step-by-step instructions for turning your avocados into beautiful roses. One-Hour Honey Bunny Buns | These cute bunny buns are easy to make and only take an hour. They’re the perfect buns for Easter brunch! Parmesan Ranch Roasted Potatoes | Roasted potatoes are such an easy side dish and you can flavor them however you like, but these ranch roasted potatoes with Parmesan cheese are one of my favorites. I used a packet of ranch dressing seasoning to make these even easier. No need to buy a bunch of different spices to make your own! My Crispy Rosemary Potatoes are also easy to make and so delicious. Ranch Roasted Carrots | These farmer’s market carrots are also roasted with ranch seasoning and are so pretty on a serving platter. 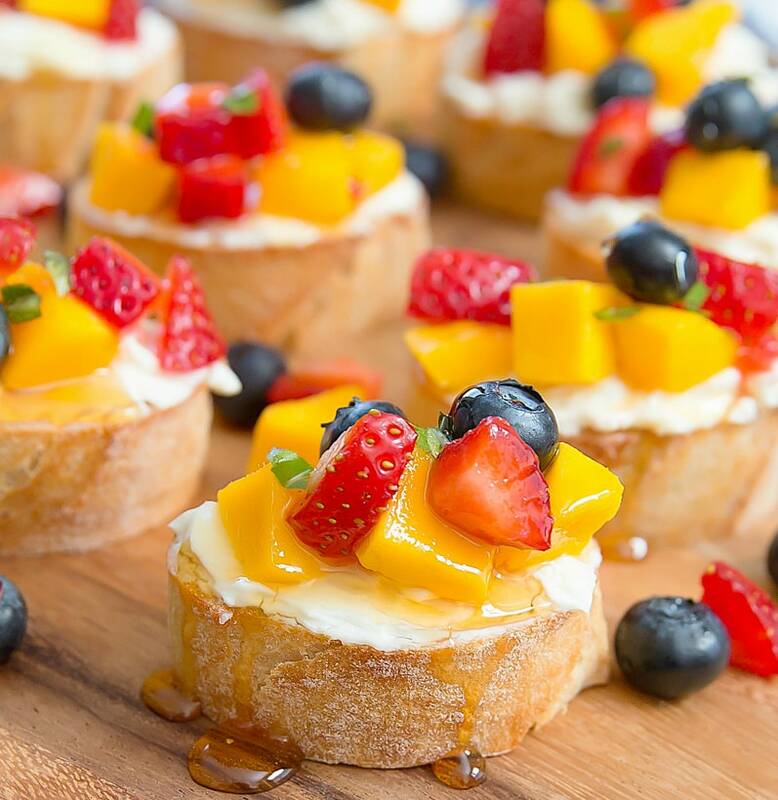 Lemon Fruit Bruschetta | These fruit bruschettas are topped with fresh mango, blueberries and strawberries. They’re a sweet version of a classic bruschetta and a great addition to an Easter brunch spread. Cheesy Cauliflower Fritters (Keto/Low-Carb)| I love making cauliflower fritters for brunch because they’re a great substitute for hash browns or potatoes. Plus, they are keto, low carb, wheat flour free and gluten free. These make a delicious side dish. Zucchini “Crab” Cakes | This brunch side dish, also known as Poorman’s Crab Cakes, are made with zucchini instead of crab. Even though these fritters do not contain any crab meat, they taste like regular crab cakes! Roasted Garlic Parmesan Carrot Noodles | For this easy brunch side dish, carrots are spiralized, tossed with a simple herb and cheese blend and then roasted for a few minutes to create a very simple and delicious vegetable dish. You could just serve mugs of hot coffee, but in case you are looking for drink ideas that are a little more special here are three of my favorites that are great for Easter brunch. 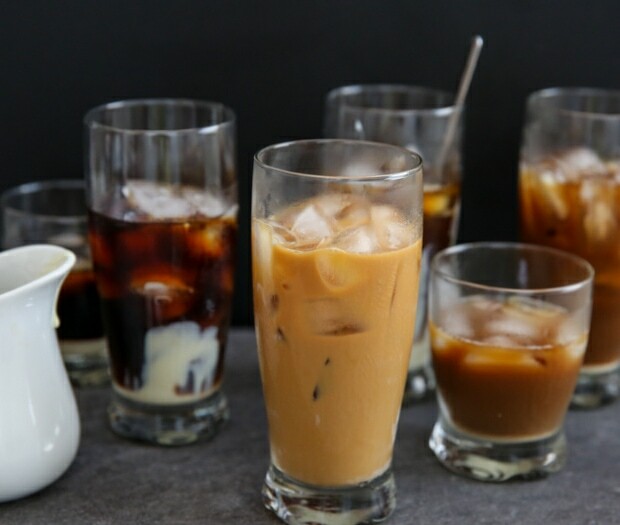 Cold Brew Vietnamese Iced Coffee | This Vietnamese-inspired coffee combines concentrated cold-brewed coffee with ice and condensed milk for a cold and refreshing drink. Edible Flower Ice Cubes | These next-level ice cubes are a fun way to dress up your Easter brunch drinks and cocktails. Iced Tea Sangria | A fun twist on sangrias, this drink combines sweet fruit tea with wine and seasonal fresh fruit. It’s a delicious and refreshing drink that can be made in large batches, perfect for a party.